The Canadian forestry sector has become a leader in clean energy and clean tech, both in industry and the communities it serves. 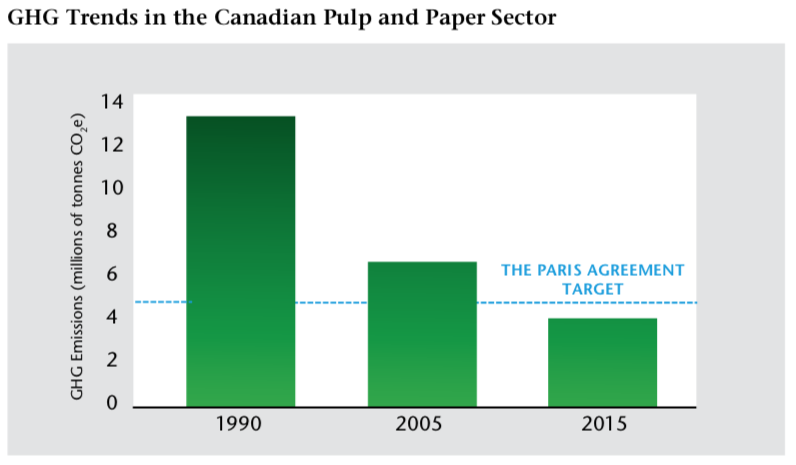 The pulp and paper sector began showing signs of success in reducing greenhouse gases (GHGs) in the 1990s. Throughout the 2000s, some 30 facilities across the country were upgrading their energy systems to produce green electricity from biomass. Enough electricity is produced across the Canadian forest products sector to power the city of Vancouver for an entire year. Over the course of this transformation, the sector has cut its GHGs by approximately 67 per cent. Today, enough electricity is produced across the Canadian forest products sector to power the city of Vancouver for an entire year. Over the course of this transformation, the sector has cut its GHGs by approximately 67 per cent. The industry has continued to gain momentum by advancing its clean energy agenda with a total investment of more than $2 billion in innovation development. Between 2010 to 2015, for example, Canfor Corporation invested a total of $400 million in capital upgrades to its Prince George, British Columbia facility which included $58 million to increase the facility’s power generation and energy efficiency. The investment paved the way for a strategic partnership with Licella Fibre Fuels and Canfor Pulp through which the two companies researched opportunities to integrate Licella’s unique and patented Catalytic Hydrothermal Reactor (Cat-HTR) upgrading platform into Canfor Pulp’s kraft and mechanical pulp mills. Through the conversion of biomass, which included wood residue from Canfor Pulp’s kraft pulping processes, the Cat-HTR was recognized as a technology that could reportedly take between 20 to 30 minutes to produce a renewable biocrude oil that would lead to the production of next-generation biofuels and biochemicals. In recent years, other Canadian industry leaders have been equally proactive in implementing clean technology developments. Amidst a number of clean energy developments came the world’s first cellulose filament plant, in Quebec. In 2013, FPInnovations launched a revolutionary three-year research project on cellulose filaments (CF). Working with the newly formed Kruger Biomaterials Inc, the world’s first cellulose filament demonstration plant was opened in Trois-Rivières. The plant has a five-tonne a day production line and operates on a simple and efficient chemical-free process that only uses mechanical energy and wood fibres. A Canadian innovation, CF is an engineered biomaterial extracted from wood pulp fibre through mechanical peeling. The process does not require the use of chemicals or enzymes and does not produce effluents, making them environmentally friendly and well-suited for the Canadian forest industry. CF is considered a highly innovative wood-fibre-based biomaterial that will continue to have a transforming impact on Canada’s forest products sector due to its capacity to be integrated into other materials and enhance their strength, lightweight, and flexibility characteristics. There are a number of examples of biomass being used outside of the sector, including the Bio-energy Research and Demonstration Facility (BRDF) that opened in British Columbia in 2012. In partnership with the federal government and forestry partners such as FPInnovations, Canada’s wood products research institute, and the Canadian Wood Council, the University of British Columbia (UBC) launched the facility—a $34 million clean energy structure that produces clean heat and electricity from renewable bioenergy. The BRDF daily operation requires two to three truckloads of tree trimmings and wood chips diverted from local municipalities, sawmills, and land-clearing operations—and generates the same amount of clean electricity as what it would take to power 1,500 homes. At the same time, it has also reduced UBC’s natural gas consumption by 12 per cent, not to mention the campus’ greenhouse gas emissions by 9 per cent which is the equivalent of taking 1,000 cars off the road. At the time it was built, the BRDF facility, 1,900 square metres in total, represented the first North American commercial application of Cross- Laminated Timber (CLT). So, not only did the facility produce green energy, it was built using CLT, which is now much more widely used in North America, with one such manufacturing facility operating in B.C. CLT is a multi-layered wooden panel where layers are stacked in a perpendicular fashion and glued together using hydraulic or vacuum presses. From a builder’s perspective, the end result is a material that is faster and less costly to use, stronger, able to be turned into panels off-site and ahead of time (no matter the weather), and sustainable. In addition to the numerous clean innovation advancements, Canada also has a framework in place that specifically supports those initiatives. Launched last year by the Canadian Council of Forest Ministers (CCFM), Canada’s Forest Bioeconomy Framework lays the groundwork for a forest bio-economy of the future that identifies sustainable bio-based materials from healthy forests available for high value-added manufacturing. The framework highlights innovation, collaboration, and investment, and opens the door to further enhancing the sustainability of Canadian forestry on a public policy framework. Wood is the one truly sustainable building material as it is sourced from Canada’s forests that are among the most strictly regulated in the world, and it sequesters carbon both in the forest and after trees become wood products in building construction. Wood is the one truly sustainable building material as it is sourced from Canada’s forests that are among the most strictly regulated in the world, and it sequesters carbon both in the forest and after trees become wood products in building construction. This includes high-rise commercial buildings, otherwise referred to as tall wood structures. Since the introduction of CLT in North America, tall wood buildings such as Brock Commons, an 18-storey mass timber student residence located at UBC, are becoming more evident. In Quebec City, the Origine Eco-Condos development will when completed, be the tallest tall-wood condominium structure. The building consists of 12 storeys of mass timber sitting above a one-storey concrete podium and underground parking garage. The building’s elevator and stairwell shafts are constructed with Canadian CLT and the building’s design has been modelled after Construction of Tall Wood Buildings in Canada which was published by FPInnovations. Two years ago, Canada’s Forest Products Association of Canada (FPAC) challenged industry members across the country to exceed greenhouse gas emission targets with their 30 X 30 Climate Change Challenge. In support of Canada’s commitments to the Paris Agreement, Canada’s forest sector pledged to the annual removal of 30 megatonnes (MT) of CO2 per year by 2030—more than 13 per cent of the Canadian government’s emissions target. It also made the forest sector the first to voluntarily contribute to the federal government’s climate goals. The sector calculated the 30MT reduction could be reached by further improvements to forest management activities to maximize carbon storage, increasing the use of innovative forest products and clean tech to displace materials made from fossil fuels, and finding further energy efficiencies at mill sites. 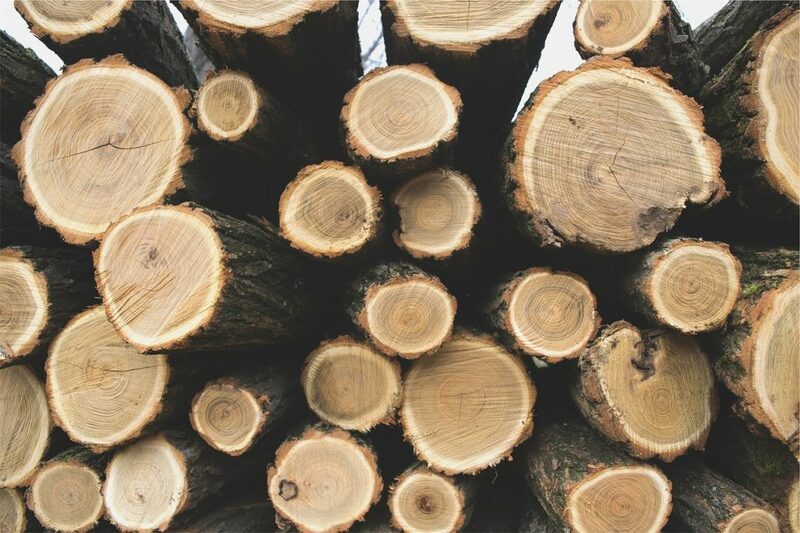 The Canadian forest products sector continues to stay ahead of the curve in how it is developing and advancing clean technology innovation for a clean energy, zero-waste bio-economy future. The industry remains committed to doing its part to transform Canada into a bio-energy and bio-materials powerhouse and is proof that advancing clean technology works for the environment and the economy, creating opportunities for Canadians to be part of a workforce that is increasingly among the greenest in the nation. BC Farmers’ Market Trail Initiative Provides Web Directory of BC Markets What’s Next in AI: And what that means for B.C.